The top diplomats of South Korea and the United States held phone talks Monday over the upcoming summit between US President Donald Trump and North Korean leader Kim Jong-un, Seoul's foreign ministry said. 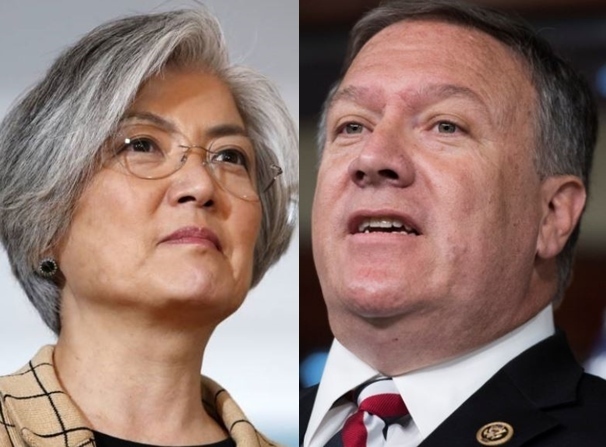 During the 15-minute talks, Foreign Minister Kang Kyung-wha and her US counterpart Mike Pompeo discussed recent developments in preparations for the summit slated to take place next Tuesday in Singapore. They also discussed the result of Trump's meeting in Washington on Friday with Kim Yong-chol, a vice chairman of the central committee of the North's ruling Workers' Party. The two sides agreed to work together to explore ways to achieve complete denuclearization and a lasting peace on the peninsula through close consultations, the ministry said.